Need a Business Plan for Your Restaurant But Lack the Time (or Skills) to Write One? Most clients that come to me need a business plan to open or expand their restaurant, but are too busy to write one. (Or get completely lost when it comes to pro forma cash flow statements). 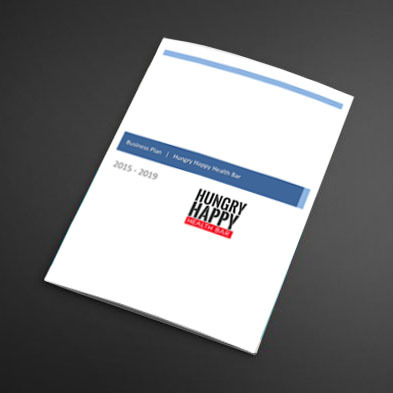 Over the past 8 years I help restaurant owners get the necessary funding by putting together a sharp, well-written, beautifully-designed business plan that communicates the unique characteristic and flavor of your restaurant, while getting what you need. Financial Analysis (Start-up cost requirements, 3-year pro forma: income statements, cash flow statement and balance sheet statement). I am an experienced, professional business plan writer of 8 years where I specialize in helping restaurant business owners successfully land business grants and funding each month. Completed education at University of British Columbia and Entrepreneurship program for BCIT Marketing Management. My background is in technical writing, business financials and professional sales. my plans include sharp research, financials projections and a compact summary of your restaurant vision -- all key elements to a successful restaurant business plan. Based in Vancouver, Canada I work with restaurant owners throughout North America. When not in Canada I'm on a beach somewhere around the world, as a digital nomad. This plan was for a Manhattan-based Tex-Mex style Mexican restaurant that sells fresh tacos, creative Tex-Mex dishes and margaritas for the Brooklyn marketplace. Owners were seeking to expand to open a second and third location throughout the NY area. Owner successfully used plan to solidify $1 million in investment to open 3 new locations over the next 5 years. This plan is based on a Vancouver-based restaurant that serves authentic Mongolian cuisine. The restaurant caters specifically to Chinese-Canadian patrons through its grilled fish specialty dishes. Plan was used for BC PNP, requiring $575,000 in start-up costs. Expansion of a popular “healthy fast food” bar chain (name changed for client privacy), which offers a fast-paced “build-it-yourself” food health bar with wraps, rice bowls, salads, protein and smoothies. The plan was used to successfully open a new branch in the Vancouver area, where the client successfully gained $225,000 in needed funding. E.g. Are you seeking funding? Start-up or Expansion? Etc.